Madigan, Dahl & Harlan is an agile, results-focused Twin Cities-based law firm serving many long-standing clients in Minnesota and across the country. Clients value our legal team's deep knowledge and experience, practical business perspective, creativity and proven strength in high-profile litigation. At Madigan, Dahl & Harlan, P.A., we place a high premium on communication and collaboration with our clients. We devote the time, attention to detail and research required to understand our clients' unique business-critical objectives and risks. Our attorneys and professional staff share a common mission: identifying and effectively navigating the best paths to resolve our clients' complex legal issues and protect their legal interests. Contact our law firm to schedule a consult and begin solving your legal issues. Applying more than 100 years of collective experience, our Minneapolis-based business litigation attorneys are adept analysts, strategists, negotiators and trial practitioners. We have built a national reputation in the realm of alcohol beverage law while representing a broad range of clients in other diverse business sectors. Reaching favorable resolution of franchise, dealer and distributor disputes is a specific forte for our firm. We offer comprehensive business services from business entity formation to mergers and acquisitions, regulatory compliance and enforcement matters. We handle all manner of commercial, real estate-related and employment disputes. Whether you are pursuing a major transaction or involved in a controversy that demands decisive action at any level of the court system, you can depend on our alignment with your goals. We are hardworking professionals who practice law with vigor and integrity. 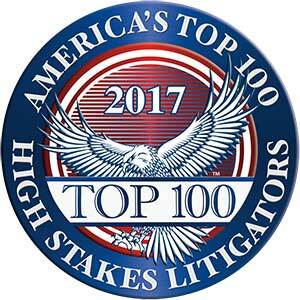 Partners in our firm have been perennially recognized with AV Preeminent* ratings from Martindale-Hubbell, inclusion in the Best Lawyers in America and Super Lawyers publications, and various other honors. To discuss your immediate legal concern or ongoing needs, we invite you to contact us and schedule a consultation.